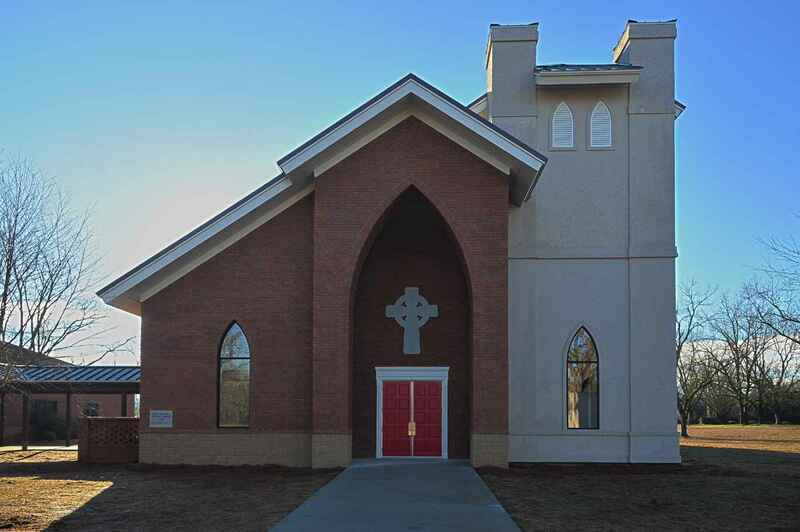 Project Description: LRA Constructors, Inc. (LRA) served as General Contractor for this standalone sanctuary building on the church’s existing campus. 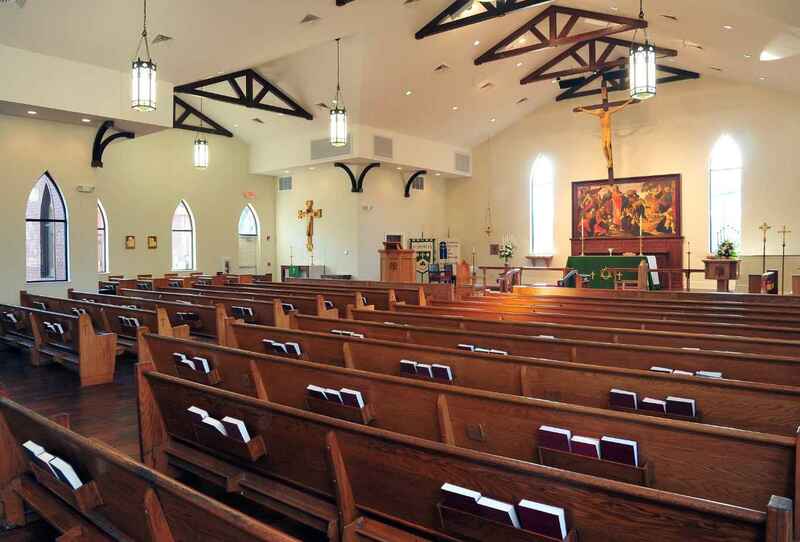 The project included construction of a roughly 6000 square foot sanctuary building, site improvements such as sidewalks and covered walk-ways between new and existing buildings and interior renovations at the existing multi-purpose building. The new building includes a sanctuary with seating for 230, baptistery, narthex, gathering rooms and other support spaces. LRA previously served as General Contractor for construction of the multi-purpose building in 2007. For the sanctuary building project, LRA self-performed foundation, wood framing, trusses erection and standing-seam metal roofing work. 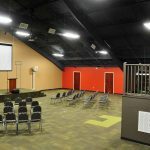 This included lifting and setting a unique wood truss system, comprised of multiple piece scissor trusses designed to clear-span the entire worship space. This was a challenging field operation but ultimately created a great finished product. 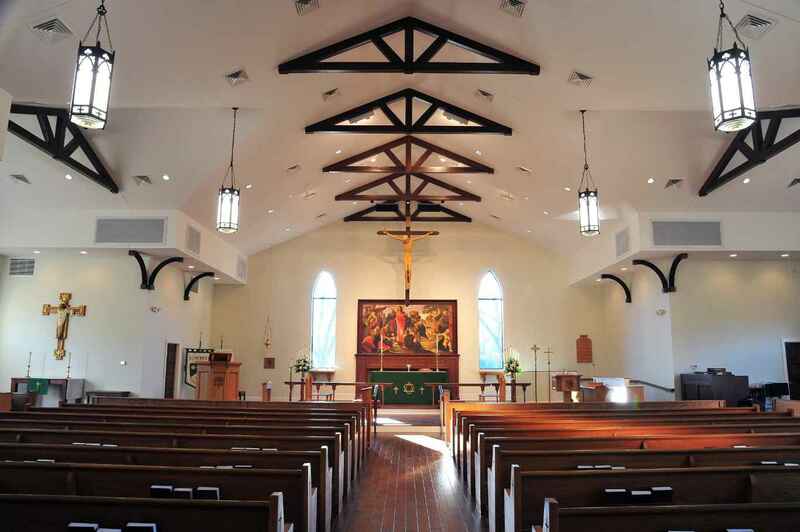 Additionally, LRA fabricated and installed the rough sawn exposed cypress beams at the sanctuary ceiling. As General Contractor, LRA worked with architectural firm Richard Hill & Associates.